Stunning lakefront estate with large private patio, heated pool, spa, and summer kitchen. This custom Cordoba model features a huge master suite down, plus library, and lots of comfortable living space. 3 bedrooms upstairs with ensuite baths. Oversized loft/game room. Open kitchen with Viking and Bosch appliances. Formal living room, dining room, wet bar, and three car garage. This home is beautiful and must be seen to be appreciated. The Oaks newly renovated clubhouse has a full service restaurant, bar, resort style pool, cabanas, 12 tennis courts, tennis pro shop, and state of the art fitness center. NO EQUITY MEMBERSHIP REQUIRED. Lot Size: 0.18 Acres / 7755 Sq. Ft. Directions:Clint Moore West past Lyons Road. Entrance on South side of Clint Moore Road. SchoolsClick map icons below to view information for schools near 17771 Lake Azure Way Boca Raton, FL 33496. Listing provided courtesy of Oak Lane Realty LLC. 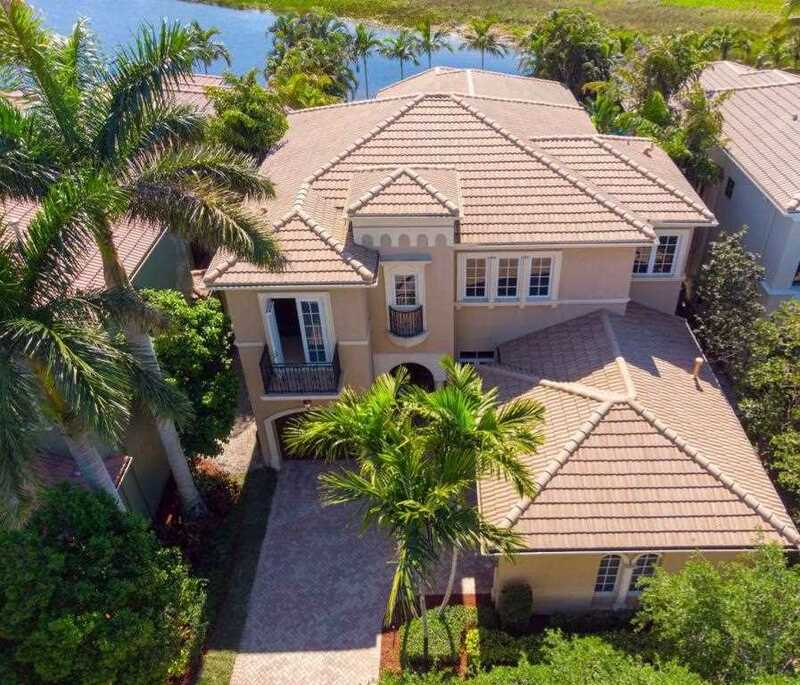 MLS # RX-10418709: This property at 17771 Lake Azure Way, Boca Raton, FL 33496 is located in the The Oaks subdivision and is listed for $826,675. MLS # RX-10418709 has been on the market for 385 days.